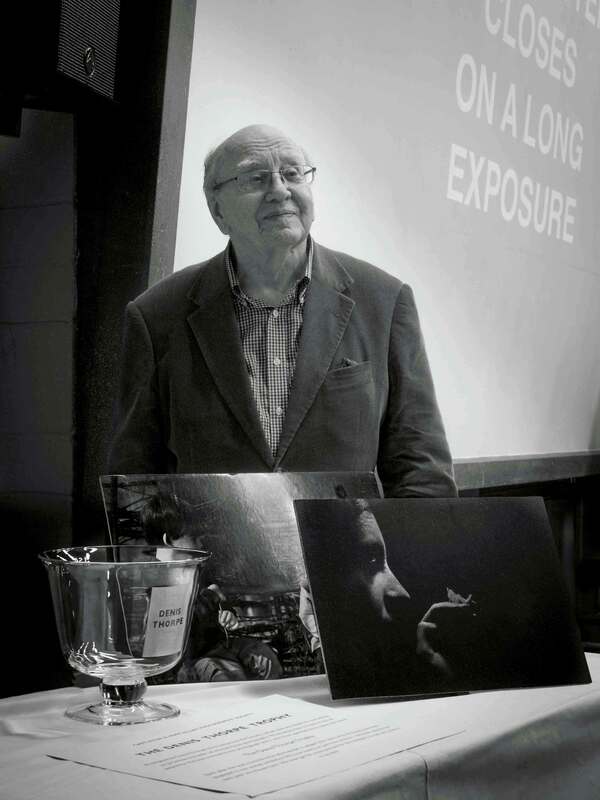 On the 25thMay our Photo Society members and guests were able to enjoy the presence of one of the most gifted English photojournalists of our time – Denis Thorpe. As a Guardian photojournalist between 1974 and 1996, Denis was well placed to record a period of upheaval in the British political and cultural landscape. From reportage of the miners’ strike and Strangeways riot to celebrity portraiture and travelogues, he captured the essence of the age. So, if you weren’t able to attend our Denis Thorpe evening, you missed an outstanding evening, when C&HVPS were delighted to welcome Denis, when he gave an illustrated talk about his beginnings as a photographer. Then talked us through some of the events that reflected history in the making – with Denis explaining how he took these iconic images. Since 2008 Denis has made two presentations to our members, then one presentation with members and guests and then on 25thMay his latest presentation. I know that many photographic clubs and societies would have given their eyeteeth to receive one, let alone four presentations by such a talented photographer. Readers who browse our website should know that our Photographic Society holds Denis in such awe that we named our trophy, awarded annually, for monochrome prints as the ‘Denis Thorpe Trophy’.